It has been nearly 600 days since the first broadcast of Hallyu drama "You're Beautiful" (2009), but its popularity is far from dying down. 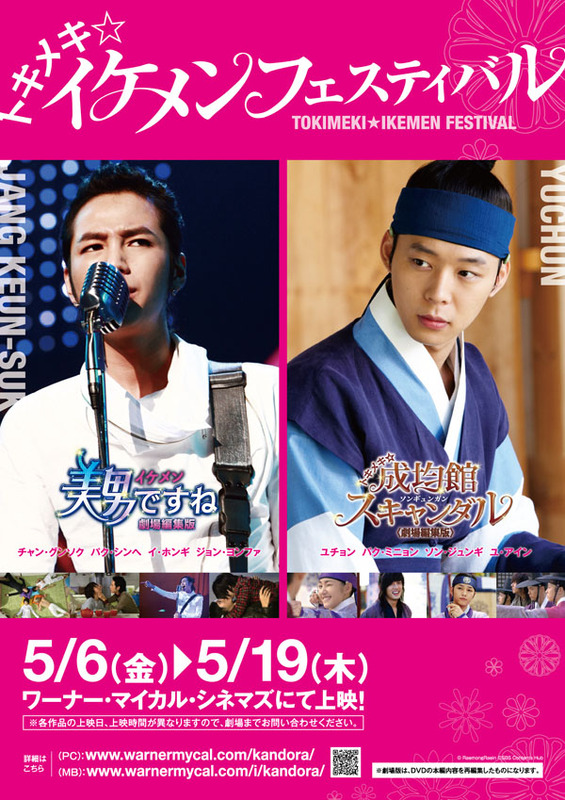 The drama, which has claimed honorable titles such as "The Most Popular Korean Drama Of All Time" and "The Top-selling Hallyu Drama" in the Japanese market, is going onto Japan's big screen this spring! As for the content, no information is available for the time being, but how exciting it is! It is a must-watch for all Japanese fans! How I wish they could have all 4 ANJells on the poster though! i sure would love to watch YB again in the big screen too!!! wow..daebak...YOU'RE BEAUTIFUL really no 1 in the world..tyhe best top korean drama..
OF COURSE!! !Why only leader got into the poster? (although he looks absolutely stunning andedgy on that poster).What a honor to be The Most Popular Korean Drama Of All Time!! !